Today we went for another family picnic. This is in the grove we went to when we were kids at Emery Park. It was a beautiful day! I took the above picture while we were playing croquet. Every time we go for a picnic we get a little bit better at it. Today we were more in order with our dishes and our tablecloths. The food was great. My sister made a salad with all kinds of good stuff and I made a red cabbage salad with walnuts and cheese and my brother George grilled pork loin and hot dogs. I brought Fuji apples I had scavenged and my sister Katie and brother-in-law David brought mushrooms they had scavenged. They are great at mushroom foraging and brought wonderful mushrooms that we threw on the grill. 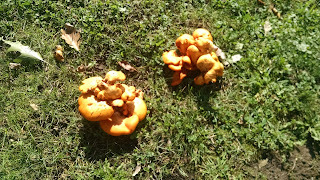 I told David about these alarming orange mushrooms I saw in Delaware Park this morning. I asked him if they were poisonous and sure enough, my instincts were right. 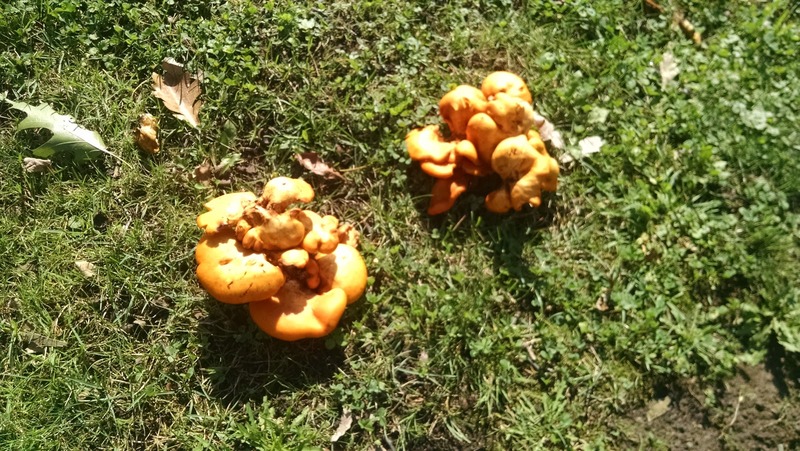 Those are Jack-O-Lantern mushrooms, David said, and they are deadly! Cornell says they are poisonous but symptoms pass in a day or two. But still. That settles it. I will have to ink a picture of them. The first #Inktober prompt was "Poisonous." I have not been going with the prompts because -- well, because of that first prompt. I could not quite come up with a good picture to go with it. 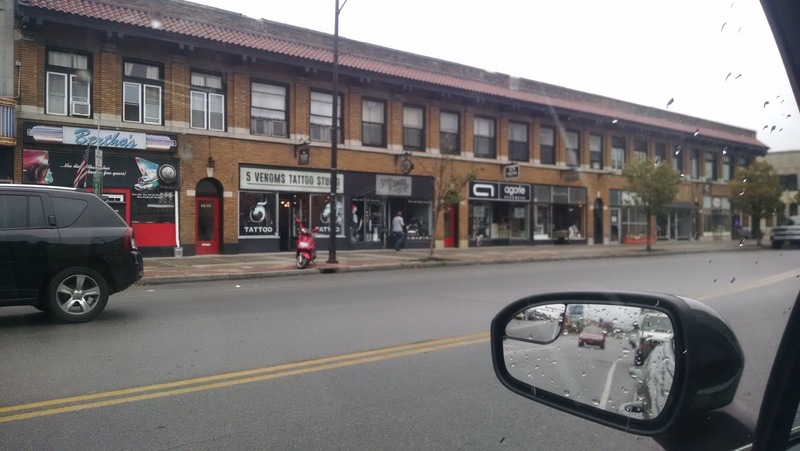 I had planned to head over to Hertel Avenue to draw a picture of 5 Venoms, a tattoo shop. But it rained and I could not go. I do believe I took a picture. But it was out of my car because it was raining. And I have a rule to draw my pictures in person as opposed to from a photograph. I have to impose rules because I am German. One rule I have imposed is that one. Another is that I cannot draw the picture in pencil first. I must wing it. My third rule for #Inktober was to take as my theme "Look in your own back yard." 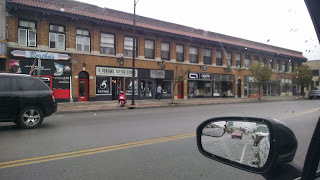 Everything I have drawn so far has been in my immediate neighborhood. But today I might have to cheat because I was away at the picnic. 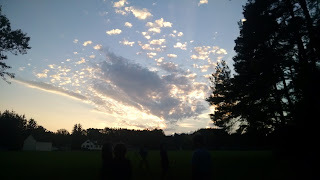 I did a picture at Emery Park and I will have to use that. Perhaps I can amend that rule. I can draw something in the course of my normal life. I happened to be in Emery Park so I drew a picture there. Tomorrow perhaps I will return to those orange mushrooms and give them a shot. It is not too late to catch up with a few of the prompts. Here is a hilarious article about a legend that says the Jack-O-Lantern mushrooms glow in the dark. That totally settles it.